Comforting lightshow to soothe your bayby. 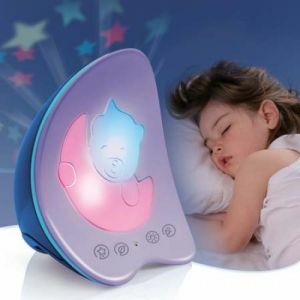 Photo sensor activated night lamp. Soothing projector lamp. Six melodies. Six natural sounds. Power adaptor included.